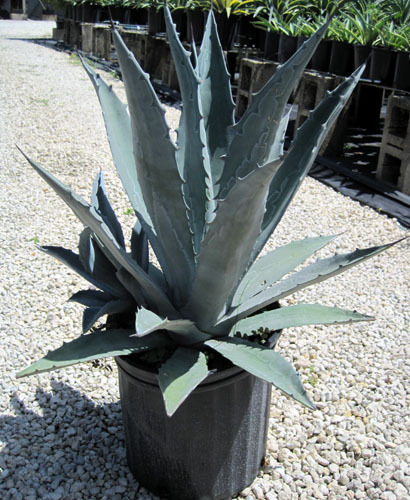 Agave americana, commonly named Century plant, is a species of flowering plant in the family Asparagaceae, native to Mexico and the United States in New Mexico, Arizona and Texas. 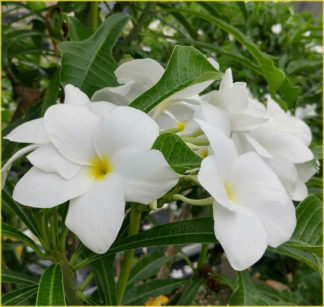 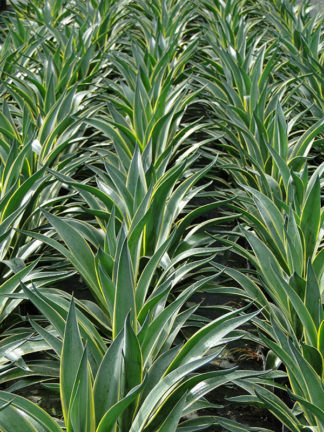 Incredibly majestic, this large evergreen perennial forms handsome rosettes of thick, spiny-edged leaves that grow up to 6 feet tall. 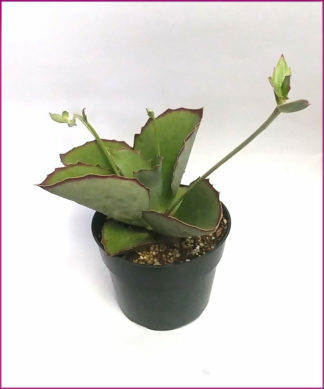 Can be used in decorative pots away from foot traffic, and large specimens create a dramatic focal point in any succulent garden. 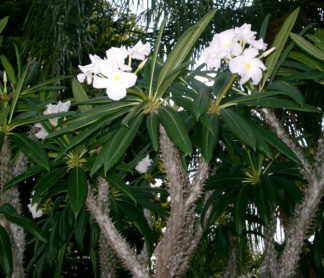 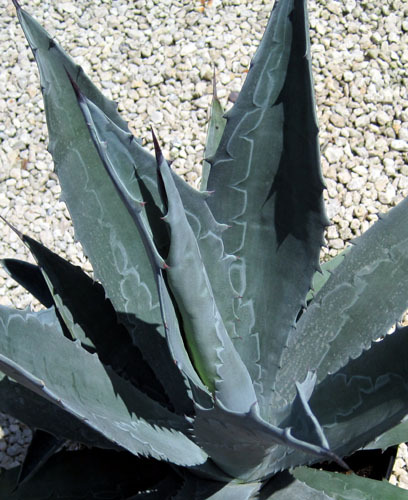 Prefers well-draining soil and full sun, but will tolerate light shade better than some agaves. 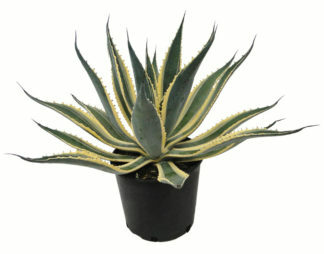 Extremely heat and drought tolerant.